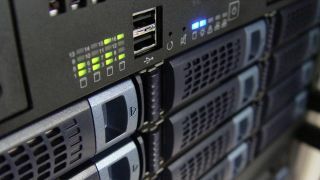 Global IT spending will increase by 6.2 percent to reach $3.7 trillion (£2.6tn) in 2018, according to Gartner. Its latest forecast predicts that the device sector, that is smartphones, tablets and PCs, will rise by 6.6 per cent over the course of the year – more than the 5.1 per cent it rose last year – to $715 billion (£506m). "The device market continues to see dual dynamics. Some users are holding back from buying, and those that are buying are doing so, on average, at higher price points," said John-David Lovelock, research vice president at Gartner. "As a result, end-user spending will increase faster than units through 2022. However, total end-user spending and unit shipments are expected to be lower compared with previous forecasts, as demand for ultramobile premium devices, ultramobile utility devices and basic phones is expected to be slow." Enterprise software spending will enjoy the highest growth rate of 11. 1 per cent thanks to ongoing digital transformation projects, a trend which is expected to continue into 2019. IT services will jump 7.4 per cent, while communications services will rise 4.3 percent, followed by data centre spending, which will rise by 3.7 per cent. The segment witnessed a strong 2017, but challenges in storage and component shortages are on the horizon. Analysts suggest that one of the main reasons for the increase could be down to currency fluctuations and early 2019 growth rate estimates for the whole IT industry are 2.8 per cent. "Although global IT spending is forecast to grow 6.2 percent this year, the declining U.S. dollar has caused currency tailwinds, which are the main reason for this strong growth," said Lovelock. “This is the highest annual growth rate that Gartner has forecast since 2007 and would be a sign of a new cycle of IT growth. However, spending on IT around the world is growing at expected levels and is in line with expected global economic growth. Through 2018 and 2019, the U.S. dollar is expected to trend stronger while enduring tremendous volatility due to the uncertain political environment, the North American Free Trade Agreement renegotiation and the potential for trade wars."